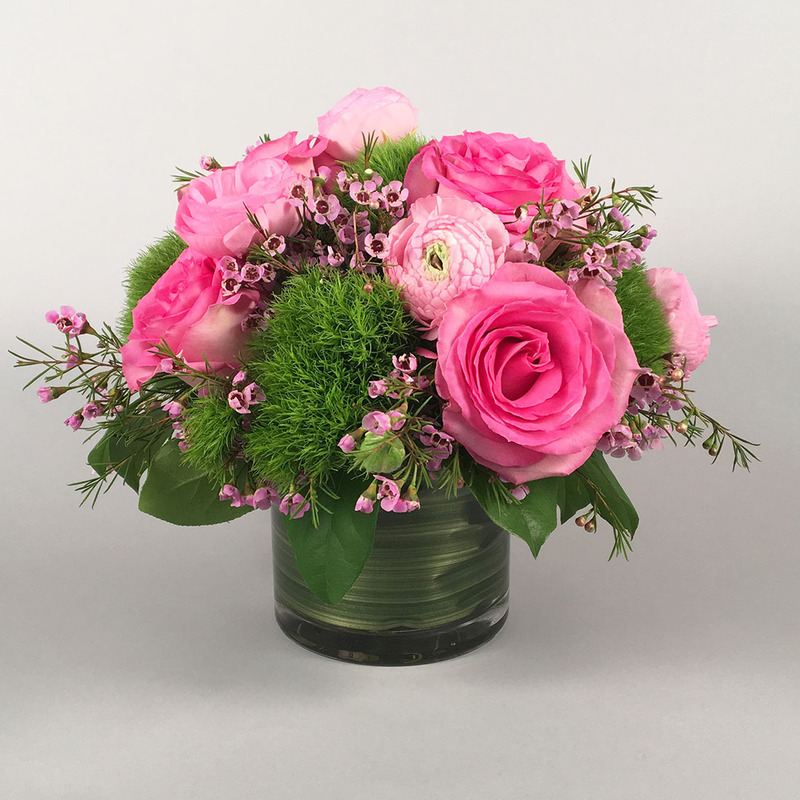 A faux leaf lined cylinder packed full with pink roses and pink ranunculus. Green trick dianthus and pink wax flower add to the fun. We can increase the size with a larger cylinder and bump up the flower count as well.